GPR, short for “Ground Penetrating Radar” is an imaging technology used for concrete structure and subsurface earth exploration. GPR uses electromagnetic wave propagation to image and identify changes in electrical and magnetic properties in the ground. GPR systems are used to locate underground utility lines, reinforcing and post tensioning in concrete, monitor airplane runways for structural integrity, conducting groundwater studies, detect unexploded land mines as well as forensic research and surveying land for Construction Purposes. Ultra-wide band utility location GPR with full mapping and GPS location of buried services. Supports Dyna-Q for resolving large and small targets more clearly. 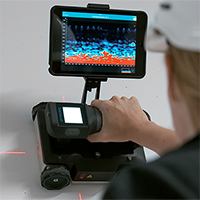 Proceq GPR with stepped frequency continuous wave technology offers market leading depth penetrating of 0.7 m and a unique wireless scan car. 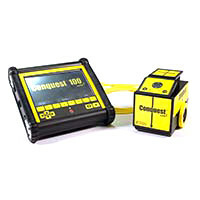 Ideal for all Concrete Scanning. Simple Utility Location GPR system, ideal for locate and marking of buried services and structures. 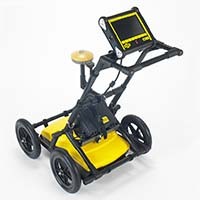 Affordable GPR to complete a locator’s equipment. Sensors and Software’s most advanced GPR system, flexible antenna range can be cart mounted, hand held or towed behind a vehicle. 100 Hz through to 1000 Hz antennas available. Concrete Scanning GPR, ideal to locate Post Tensioning and rebar to a depth of 0.5 m. Simple to use single operator system. 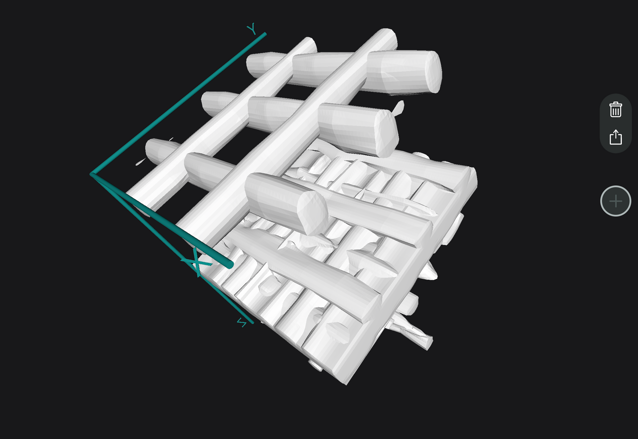 EKKO_Project software offers intuitive tools to organize, edit, process and plot your GPR data. There have been significant improvements to Ground Penetrating Radar (GPR) equipment over the past year. 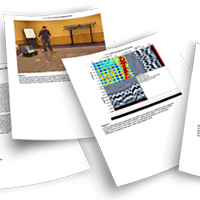 Recently introduced GPR models have become much more intuitive and easier to use. Improvements to GPR technology have led to higher resolution scanning and greater penetration depths. For concrete scanning this has improved the ability of users to successfully map congested areas with multiple layers of steel reinforcement and post tensioning. For utility scanning, improvements in GPS accuracy and integration with GPR scans has allowed for more effective reporting to customers. The cost for GPR equipment continues to become more competitive as the technology continues to develop. The combination of increased capability, ease of use and affordability of GPR equipment is quickly leading to widespread use for both concrete scanning and utility locating.